The Singapore hotel property sector is on international investors’ radars, and hotel transactions activity are expected to rise, said a research report by JLL. The positive trend in hotel trading performance will continue to push pricing higher in the Singapore hotel property sector it added. The Asia Pacific region is expected to be the standout region from a growth standpoint, with hotel investment volumes forecasted to grow by 15% year-on-year in 2019, said the report. JLL said Singapore hotel property sector is currently riding the wave of a boom in hotel land sales which has reignited the interest of would-be sellers who are considering to sell their hotel properties. 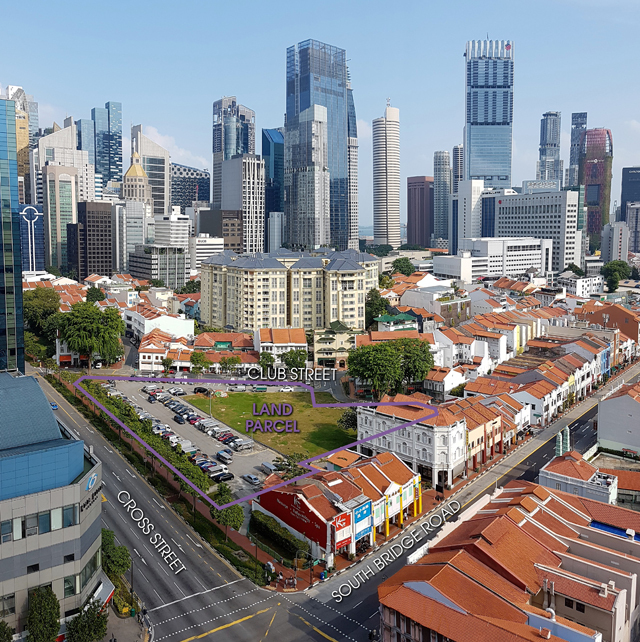 In a tightly held market such as Singapore, JLL expects to see heightened sales activity as owners exit at record prices and newcomers seek long-term strategic opportunities. Modern-day luxury consumers are increasingly seeking out experiences, placing less emphasis on acquiring material goods. There is strong demand for high end experiential luxury travel, demonstrated by revenue per available room growth in the Singapore hotel property sector, noted the report. This, together with a favourable tourism outlook, sets the scene for a more liquid marketplace for the Singapore hotel property sector in 2019, JLL said. Besides Singapore, with sustained demand in international visitor arrivals, robust trading performance, continued infrastructure development and political stability, Thailand’s capital as well as its key resort markets of Phuket and Koh Samui will remain highly sought-after by investors, the report suggested. This would also be another year of strong cross-border transactions activity for Australia, particularly in Sydney, Melbourne, Brisbane and Perth, which will remain firmly on the radar of the Asian buyers, JLL said. Japan is expected to be one of the most active markets in 2019, with investor sentiment driven by the 2019 Rugby World Cup and the 2020 Tokyo Olympic Games, the report said. Adding, investment momentum will continue to rise there as investors explore selling hotel assets to capitalise on the tourism boom. “APAC is expected to be the standout region from a growth standpoint, with hotel investment volumes forecast to grow 15% year-on-year in 2019. Among the most active markets in 2019 will be Japan, with investor sentiment buoyed by the Rugby World Cup in September 2019 and the Tokyo Olympic Games in 2020. Investment momentum is expected to build as investors explore selling their hotel assets to ride the anticipated tourism boom. Singapore is also on investors’ radars, and hotel transactions activity in China continues to rise. The positive trend in hotel trading performance will continue to push pricing higher. The report predicted that Maldives will take centre stage in the Indian Ocean as new capital sources enter the market in search of higher yield opportunities as several landmark sales are witnessed, which are likely to conclude during the course of the year. The report which took a look at the hospitality investment market – 10 years’ in review said recent years have seen new investors and investment strategies emerge, enabling investors to enter hotel real estate in ways beyond direct acquisition of assets. These take the form of debt investments, strategic joint ventures, recapitalizations and real estate or brand M&A activity, which are expected to continue to be prevalent in 2019. It added that hotel investment defies global caution in that global hotel transaction volumes are predicted to reach $67 billion this year. Its report which also captured the Singapore hotel property sector envisages robust levels of fundraising activity for hotel investments globally, whilst international capital forms a key part of the hotel investment market. This, the report said, is forecast to increase in 2019 as investors look beyond their home countries for diversification, and more multi sector investors will target hotels given its attractive yield profile. Are planning to invest in the Singapore hotel property sector but unsure of funding? Don’t worry because iCompareLoan mortgage brokers can set you up on a path that can get you a commercial loan in a quick and seamless manner. The post Singapore hotel property sector expected to ride wave of boom in APAC appeared first on iCompareLoan Resources.